At the weekend I held a team meeting for over 80 of my team. We gathered in Milton Keynes for a day of crafting, fun, teaching and inspiration. I created four projects for them to make including one using the Springtime Impressions Thinlit Dies and specifically the Butterfly die. 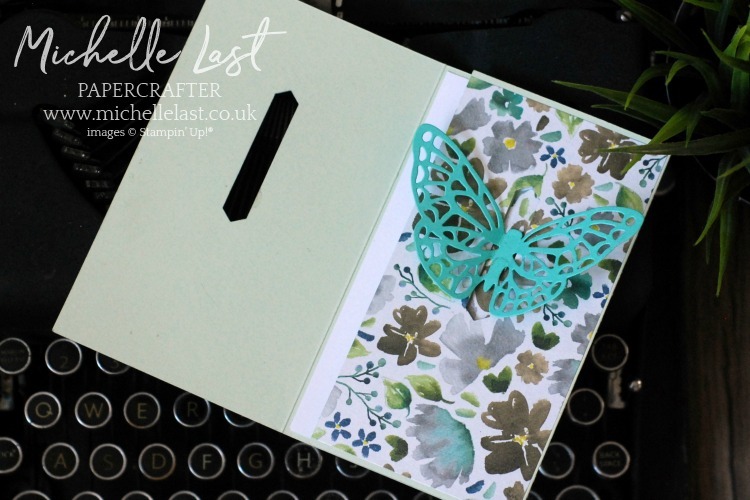 I created the same design but using UK cardstock sizes which have slightly different measurements to the U.S. From the front it simply looks like there is a die cut butterfly but the magic happens when you open the card…. 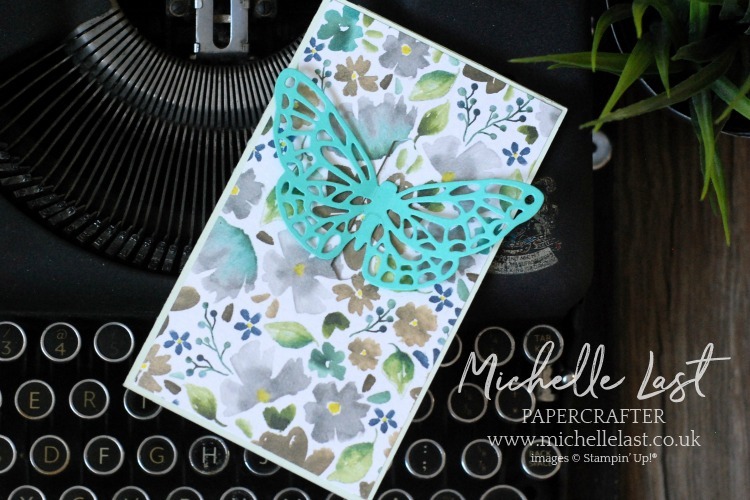 The key to this card is the Classic Label Punch and the Butterfly Die Cut as they work perfectly together. If the wingspan of the butterfly is larger than the opening it will cause you issues. This is the middle section once the card front has been opened. And this is the inside once both the flaps have been opened. I decided on a beautiful condolence greeting from the Kindness & Compassion Stamp set but you can change the greeting to any you wish. 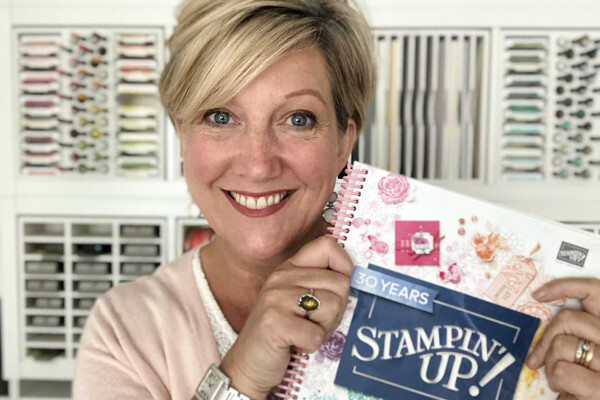 All the supplies I used to make this card are from Stampin’ Up! and available from my online shop. Simply click any of the items shared below to go to that item in my online shop. If you spend £20+ with me, please remember to use the monthly hostess code to receive a free thank you gift for shopping with me. I hope you enjoy giving this trim-fold card a try and thank you again to DeeDee for the inspiration! Hi Michelle, this is a beautiful card. What a great idea to make the butterfly go through the holes. I love it. I just love the surprise pop out. Thank you. What a wonderful card Michelle. Love the surprise as it opens. I will be giving this a try. Thanks for inspiring. Take care.